UPDATE: This offer has ended. The terms by Discover now say that purchasing gift cards is excluded in the offer...however, it is still unclear if this will actually be enforced. This is a deal with HUGE potential. 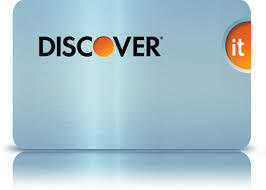 Discover just announced that from Sept 16th until the end of 2015, they will be giving an extra 10% cashback to customers who use their Discover credit card with Apple Pay in stores that accept Apple Pay (duh). On top of that, right now if you get a new Discover card you'll get DOUBLE the cashback so that 10% becomes 20% (on top of the normal 1-3% cashback you already get). So really, the total potential is 23% cash back. There is a maximum of spending $10,000 that you'll get the 10% cashback on. So let's do a little math. If you already have a discover card, you'll get the 10% cash back plus the normal 1% = 11%. Now, if you get a NEW discover credit card you can DOUBLE that so you'll end up making $981 x 2 = $1,962. Of course, you don't have to max out this offer. Just use your card with Apple Pay to get 20% cash back this holiday season when you use Apple Pay. 20% cash back on regular purchases is still pretty nice, but the HUGE potential comes when you buy visa/master gift cards and then liquidate them back into your bank account....if you are new to how all this works then this may be very difficult for you to do. There are 2 different cards you would want to consider getting if you don't have a Discover card or only have 1. You can not have more than 2 discover credit cards. If you got a Discover credit card within the last 12 months, you can't get another one. My wife has the Discover It card which will only get the 10% cashback. She does not have a second card so she will get a new Discover Miles credit card which will be eligible for the 20%+ cash back. 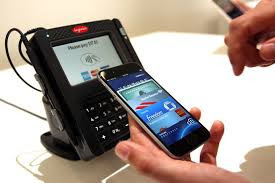 I will max out spending $40,000 between the 2 of us buying visa gift cards at Walgreens with Apple Pay. I will liquidate all the the gift cards onto our Redcard (Vanilla One Visa gift cards that are sold at Walgreens cannot be used on Serve/Bluebird). The total profit with all of this will be about $6,000. Merry Christmas to us! Problem: I don't have an iPhone (By the way, this deal will only work with iPhone's 6 or 6s or iWatch or the new iPad). I'll have to get an iPhone or iWatch or one of the newer tablets to make this work. Making $6,000 is worth spending $750 bucks...If I don't want to keep the iPhone I guess I could always sell it in January for 80%+ of what I got it for. So if you don't have 2 discover credit cards sign up HERE or click below to get another one (I don't think you can get 2 at a time, although you could try filling out 2 separate applications and submitting them at the same time). I am reading online that the offer excludes gift cards. Thanks for bringing that up. I updated the post to mention that. It's still a pretty nice deal for shopping, but it's not a HUGE deal if gift cards don't earn the promotion. Has anybody managed to get it to go through with gift cards? There are no reports yet that I am aware of. I've read that we won't know until Mid November.